Hello everybody, it’s Brianna here! It’s 59 degrees where I am! It’s so awesome! It’s so, so, so warm after such a cold, cold, cold winter! 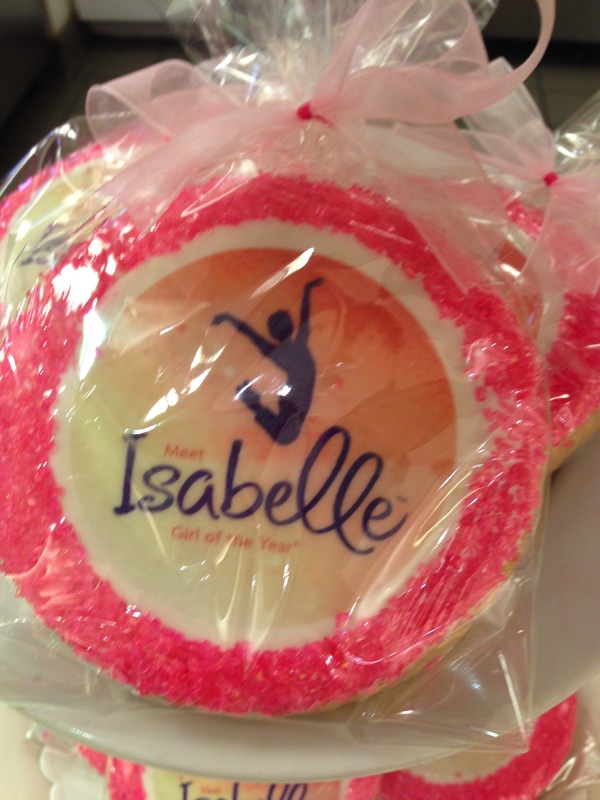 Today I have a Isabelle’s profile to share with you! Here we go! Description: Blonde hair with pink highlights, blue eyes, and white skin. 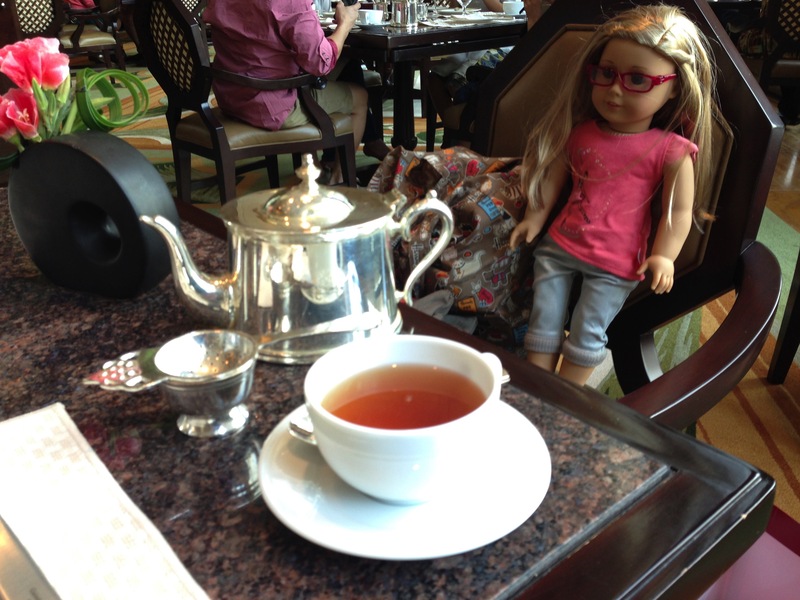 Isabelle Taking Tea at the Peninsula Hotel. Spoiled! Thank you for reading this post! Stay tuned for a profile on another girl with long brownish and blackish hair and blue eyes! 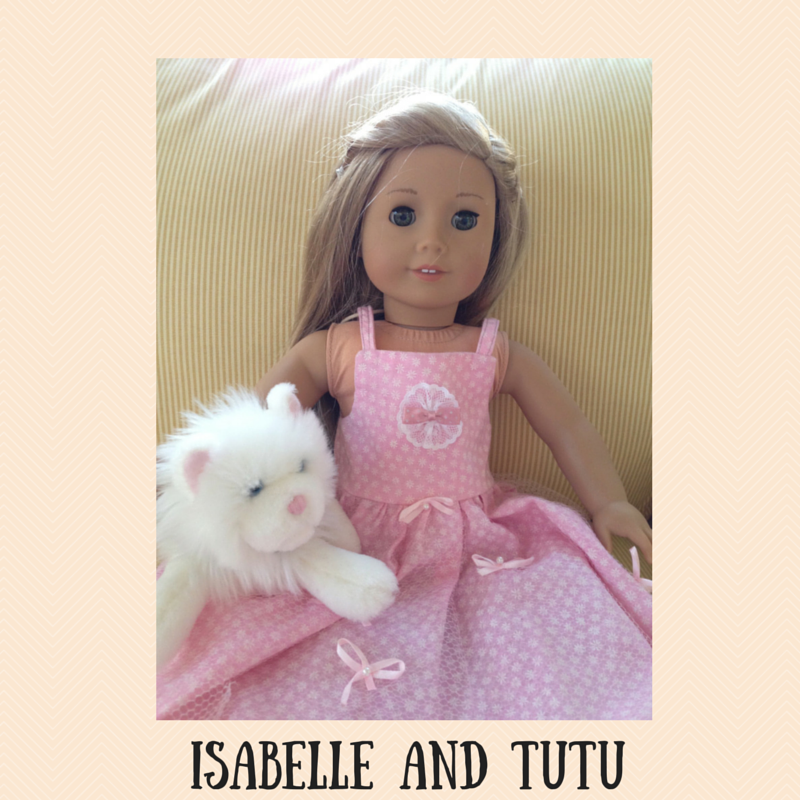 This entry was posted in American Girl, Isabelle and tagged American Girl, Isabelle, Peninsula Hotel on March 30, 2015 by Jen. 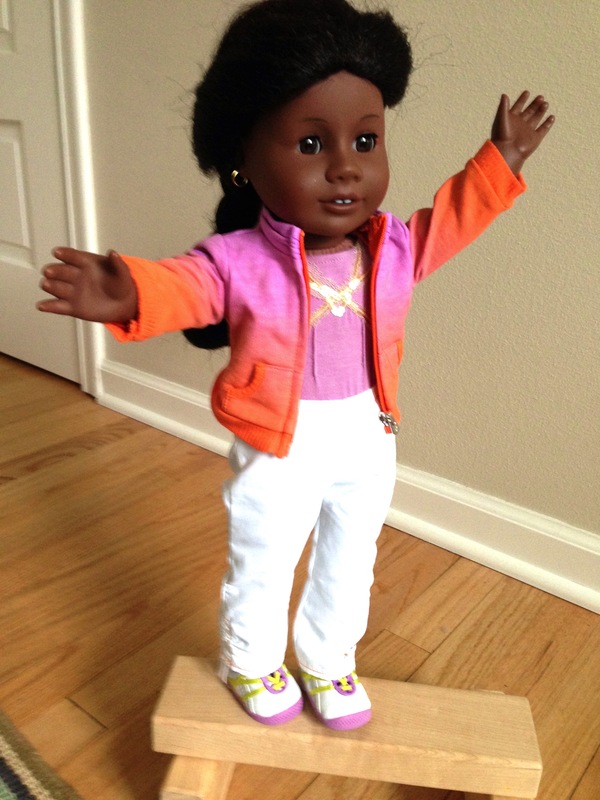 Addy got wind that gymnast Gabby Douglas is competing this weekend for the first time since the London Olympics. Douglas and Aly Raisman hope to make a run for the 2016 Olympic team. No US woman has made back-to-back Olympic teams in gymnastics in 16 years. 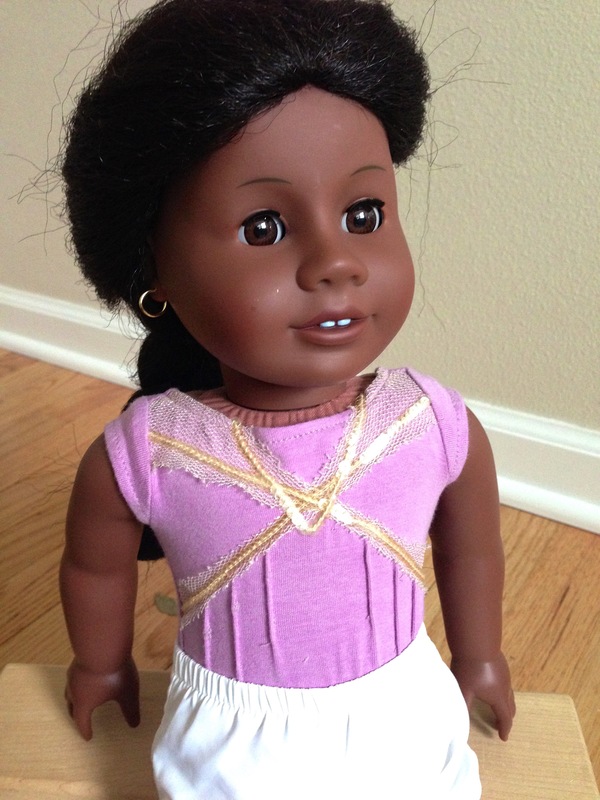 This entry was posted in Addy, American Girl and tagged American Girl, Gabby Douglas, gymnastics on March 28, 2015 by Jen. 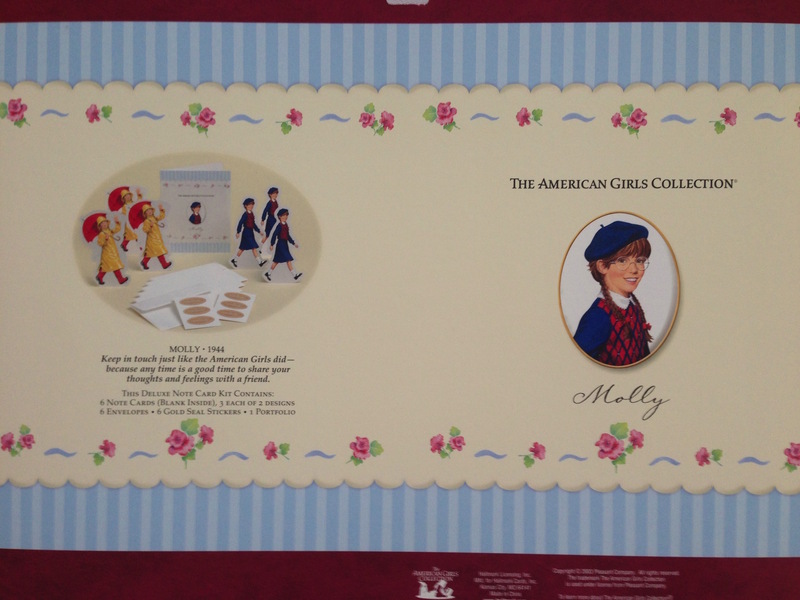 This entry was posted in Wilmot Sale and tagged American Girl, Ebay, Wilmot Warehouse Sale on March 24, 2015 by Jen. Hello everyone! It’s Brianna here, and today I have a post on a gift I got from my fantastic aunt and my two cousins who came to visit from Alabama. 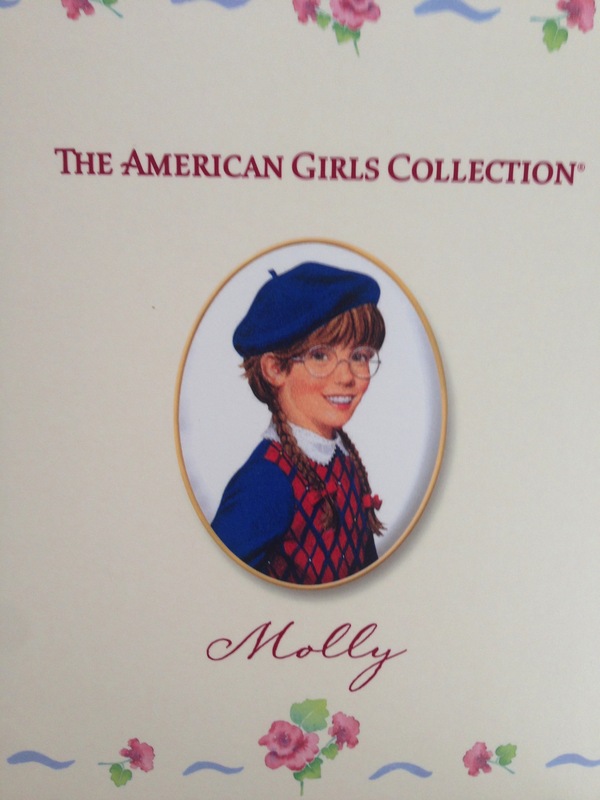 They gave me Molly Deluxe Note Cards; this is an item released by Pleasant Company, so this item is quite rare. Read on to find out more about this amazing item! The package [which is about 10 inches by 13 1/2 inches] contains 6 note cards, 6 envelopes, 6 gold seal stickers, and 1 portfolio. I was telling my mom that I might not even use the note cards,I would just admire them. There are 2 designs, 3 per design. 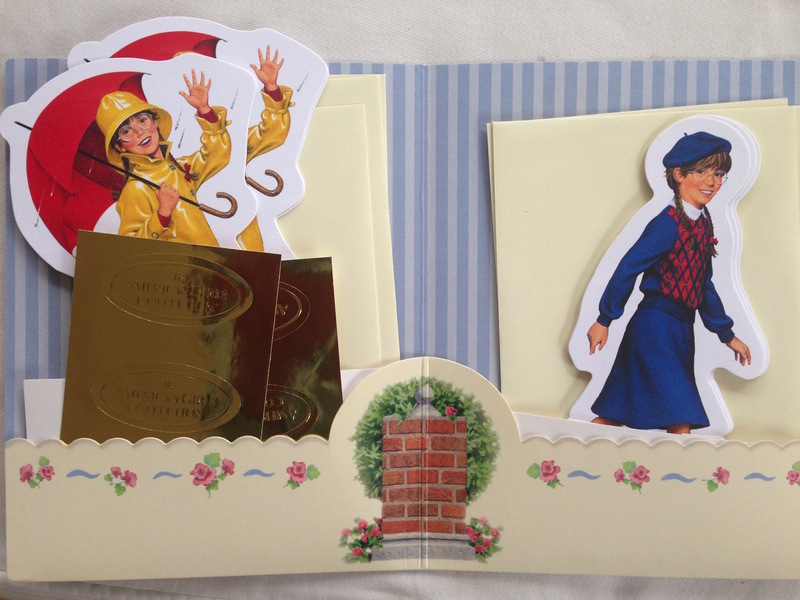 One of the designs is Molly in her meet outfit and the other is Molly in her raincoat and holding an umbrella. 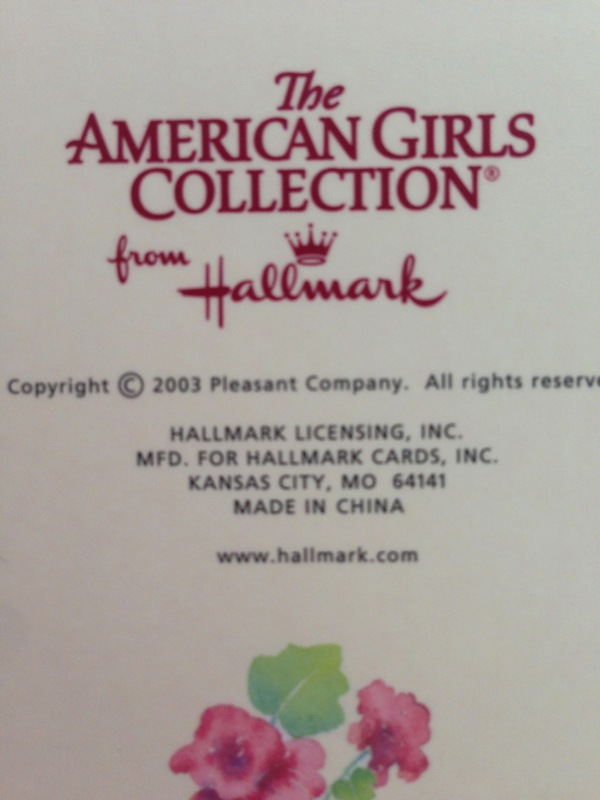 The gold seals are gold stickers that say The American Girls Collection on it. It has a small space to write in. I adore this item so much! 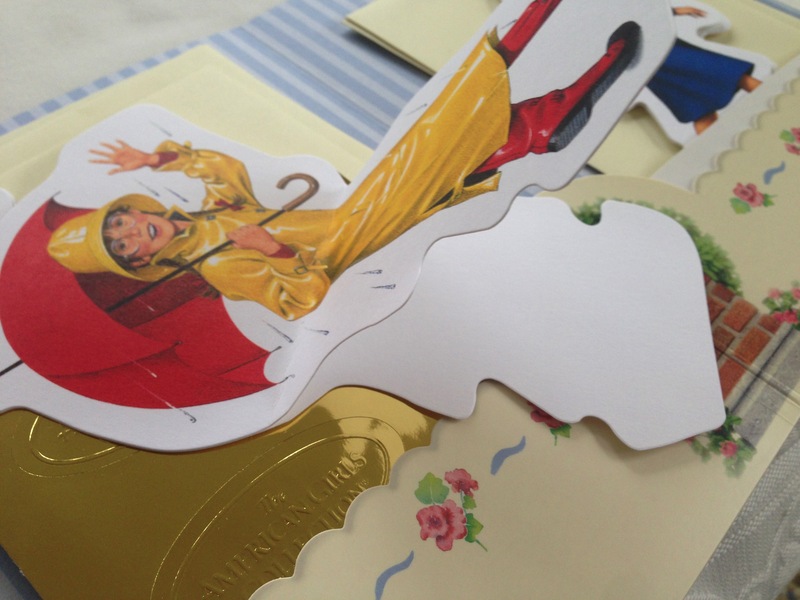 There are also Kit Deluxe Note Cards. Well, anyway I hope you enjoyed this post. Keep your eyes peeled for more posts coming later! 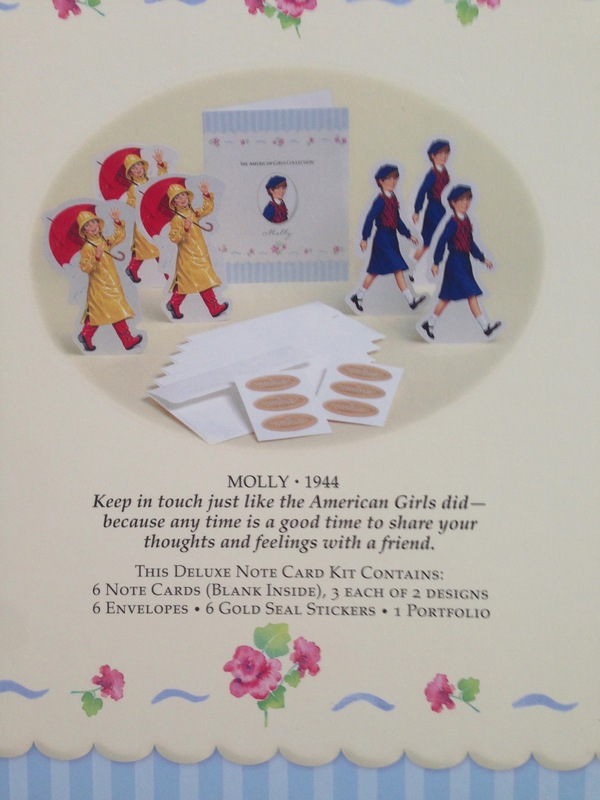 This entry was posted in American Girl, Molly, Pleasant Company and tagged American Girl, Molly, Pleasant Company on March 23, 2015 by Jen. 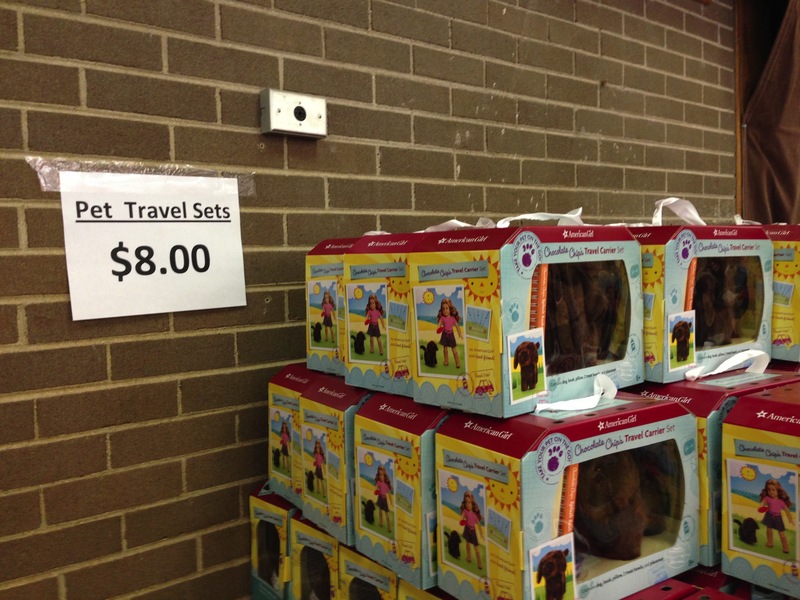 I contacted the Mattel Outlet in Wilmot to see if I could get any information about this summer’s American Girl Wilmot Warehouse Sale. I’ve been getting antsy to find out the date. It seems like we are in school later than usual this year and we will be bummed if we don’t get to make our usual Friday girls’ trip to go to the sale. The clerk indicated that June is likely the month for the sale in 2015. Last year it was also June, and the year before the sale was in August. She said they may release the date “soon” — I am dubious, though, as the Mattel Wilmot outlet website usually only has events for the coming month. I plan to check back in early April. 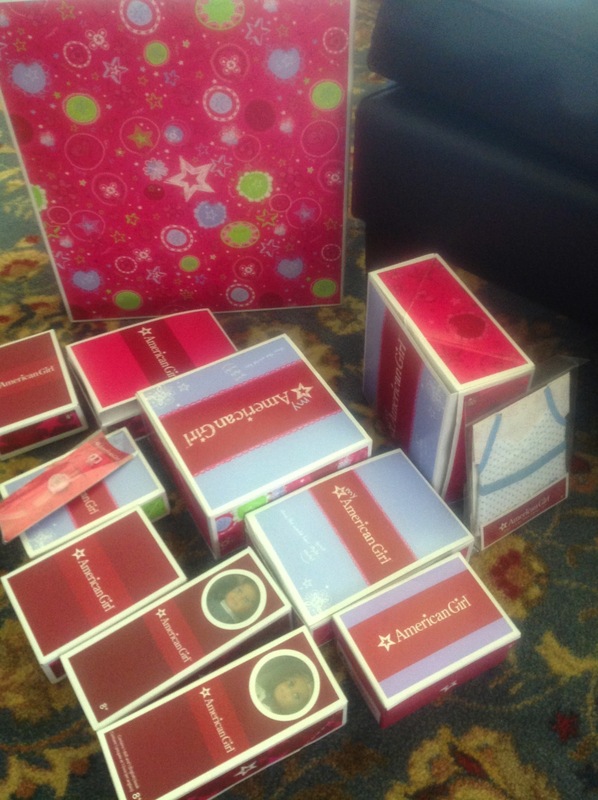 This entry was posted in Wilmot Sale and tagged American Girl, Wilmot Warehouse Sale on March 20, 2015 by Jen. Hello everybody! It’s Brianna and Jen, and today we have a post on Josefina’s birthday. Josefina’s birthday is March 19th. Our Josefina is turning 11! Today we have a cool graphic made by Jen and a fabulous poem written by Brianna. Enjoy! 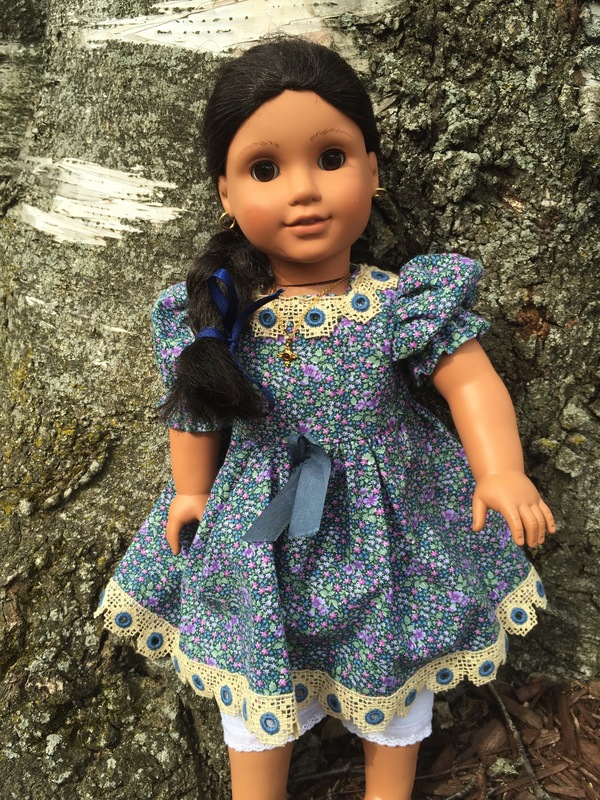 Josefina in a dress from a craft fair. Did you notice any pattern in the poem? If so please comment below. 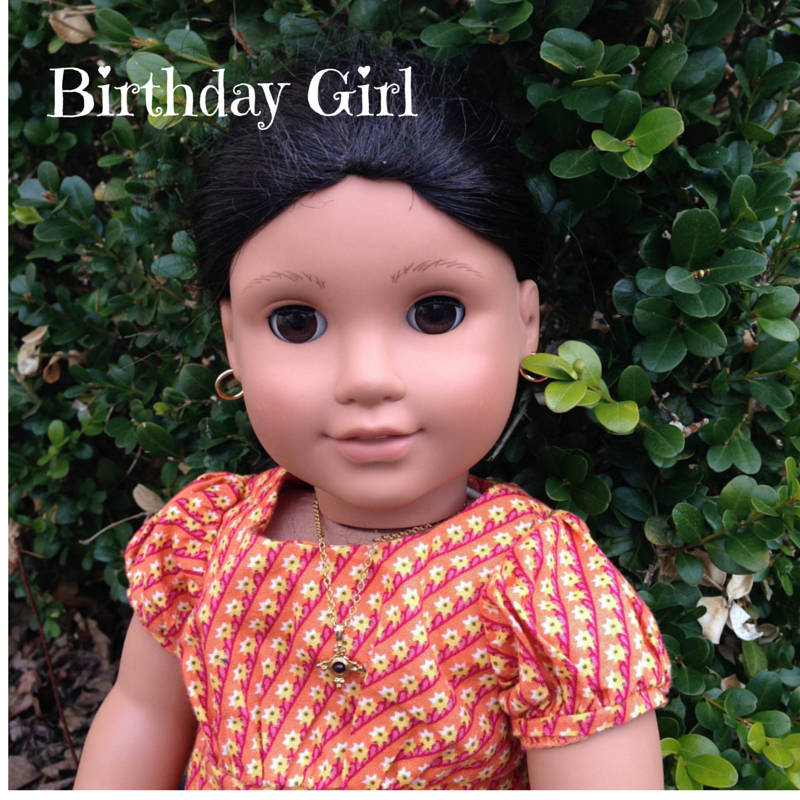 This entry was posted in Josefina and tagged American Girl, Josefina on March 19, 2015 by Jen. But I’ve never seen nothin like a Galway girl – Hey! 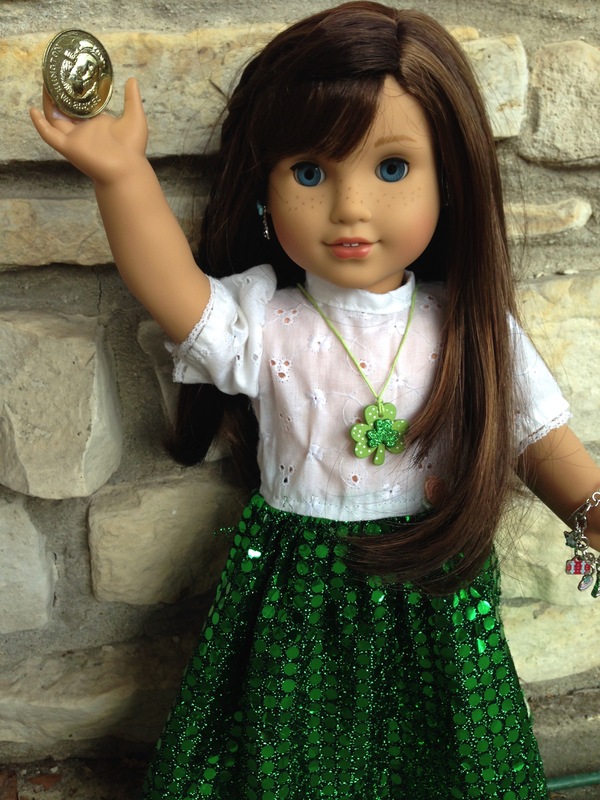 Our Galway Girl, Grace, found gold at the end of the rainbow! 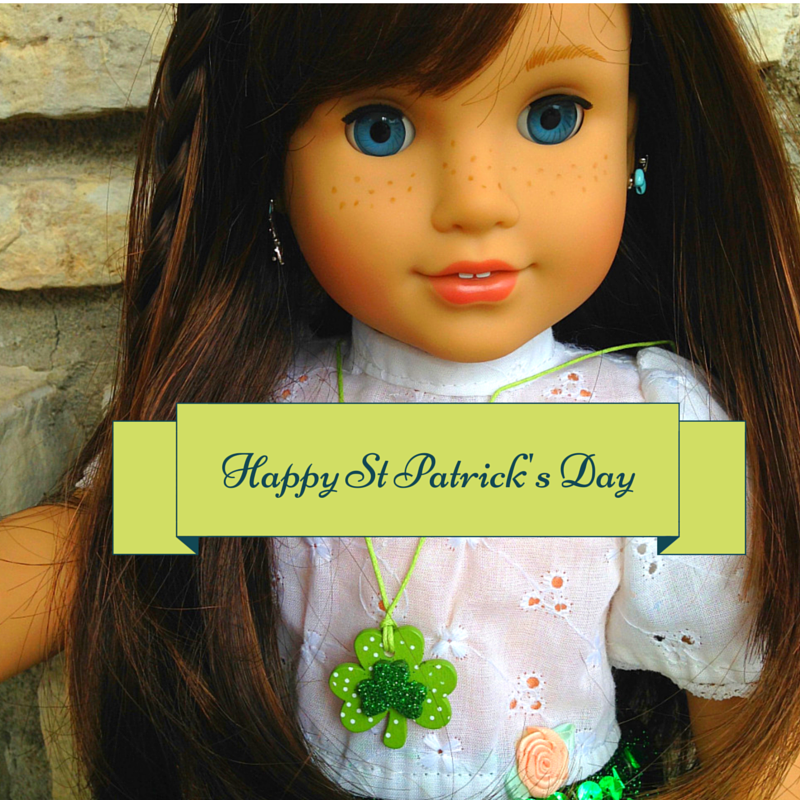 This entry was posted in Grace and tagged American Girl, St Patrick's Day on March 17, 2015 by Jen.